In order to have an internet presence such as a website and emails there are two things you will require, these are a domain name and a web hosting service. Your domain name is your name on the internet, when you register a domain name it becomes your property. a domain name is a valuable piece of internet real estate and by registering your domain you are protecting your business or ideas by showing nobody else can register them. there are several types of domain names the most popular being are the US domains such as.com Dot Net and Dot org and depending on the country you reside in .co.za .Joburg .Cape Town and .Durban for South Africa.. US domains can be registered between 1 and 10 years where as South African domains are registered every year. You will always have the opportunity to renew your domain name in advance of its expiry date, we will send you an email reminder a month before the expiry of your domain to confirm if you would like to continue with the domain or delete your domain completely. Now that you have you have your domain registered did the main needs to be posted on a computer so that it is available to the rest of the world 24 hours a day 365 Days a Year. Website hosting is a term that describes the computers and network system which allows you to set up a website any emails. it consists of a powerful set of computers called web service which are located in a specially designed building called a data centre. 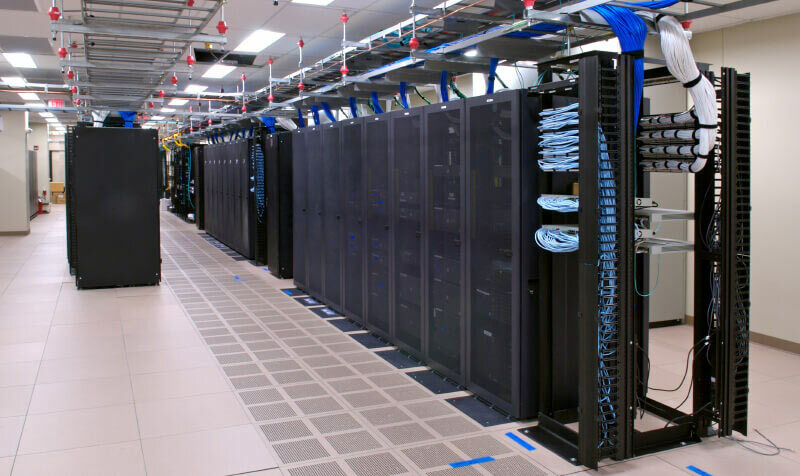 the datacenter is manned 24hrs a day by highly trained technicians it has backup diesel generators and the state-of-the-art security including CCTV cameras and by metric security. how website hosting Network has got numerous backup systems ensuring that your e-mails and website content I always secure and I working 24 hours a day 7 days a week. When choosing your website hosting there are two terms you need to be familiar with the space and bandwidth. disk space is the amount of space allocated to you on our web server, for example 1 GB of hard drive space is enough for about 10000 web pages. Bandwith just means the amount of traffic to your domain, it consists mainly of email traffic and visitors visiting your website or when maintenance were updates are done on your website. To give you an idea 10 GB of monthly bandwidth would be enough for tens of thousands of visitors to your website. We setup your domain, web host space and all your emails, we will then send you the respective passwords and settings via email for you to get started and we also have a handy YouTube video which explains how to setup your email account on your computer. We also have a tutorial explain how to setup an email account on Outlook and a link to a website explaining how to setup your email account on an Apple device. if you have any difficulties in setting up your email we are only a phone call away. Should you wish to design your own website we will install the WordPress and setup a database free of charge and send you the login details for you to get started right away. We are great friends of the WordPress website platform as it is the most popular content management system on the internet, They said that around Port of the internet websites are all using the WordPress platform and according to Quora, 74.6 million sites a bolt with WordPress. apart from being so popular it is very versatile for example under the same domain you can have a website a Blog and eat commerce store. If you are not be interested or don’t have the time to create your own website, we offer the service at a reasonable fee depending on how many web pages what the content is and what functionality you acquire on your website, for a free quote please contact us here. All our services whether it is website hosting, AdWords management or SEO (search engine optimization) are all offered on a month to month basis we don’t believe in contracts, We believe, if we deliver a good service you will continue using our services indefinitely. Web service our computers that are usually setup in facilities called data centers and are operated by hosting companies. The purpose of these computers is to store websites so that people can visit them on the internet. The files stored on servers are viewed by browsers such as Firefox, Safari, Google Chrome and Internet Explorer these browsers convert the files on the server into images and text for you to view. your browser communicate with the web server to bring you information from the Internet. Web servers communicate with many browsers and computers all at the same time. Their purpose is to serve files as requested. A server can send the same file or different files to hundreds of users at the exact same time. Many factors go into the how many files a web server can handle at once. Server hardware plays a role in this when comparing how fast the server processor speed is, to how popular the site is and how many views it has it once. Firstweb has multiple server options to fit every need. Database – stores information defined in fields essential to the operation of a website itself. for example and ecommerce site needs to keep track of names addresses product information cetera. I hope the short explanation will lend some insight into how website hosting, email hosting, web service and web server software all go together to build a world wide web.